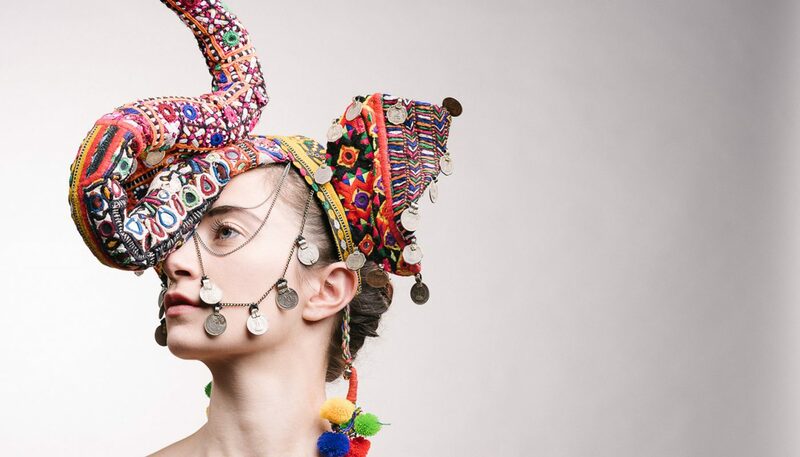 If you are a fashion or costume designer, Sahar can work with you to design the perfect millinery for your collection or designs, whether it’s for the catwalk, a look book or on screen. Sahar has worked with fashion designers such as Alice Temperley, Muzungo Sisters and Prabal Gurang, and costume designers such as Anna Robbins on Downton Abbey and Amenna Cara-Kallender for Katy Perry. Elephant Mask Designed and made by Sahar Millinery for fashion brand the Muzungo Sister’s contribution to the 2016 Animal Ball, put on by the Elephant Family. 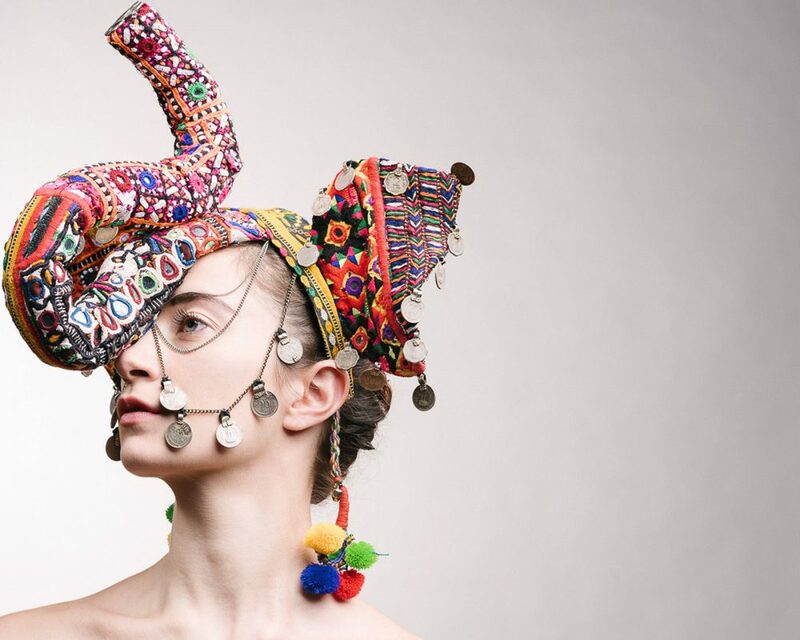 Using Muzungo Sister’s vintage fabric from India, Sahar worked to their brief, to create 45 headpieces depicting an Indian Elephant. 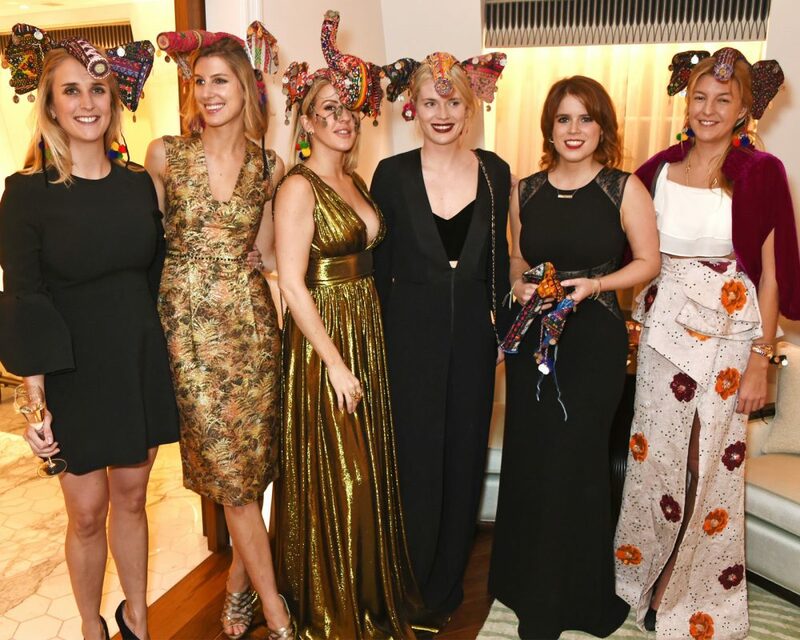 These pieces were displayed at the V&A, given to Prince Charles and Camilla, Duchess of Cornwall, and also worn by Princess Eugenie and pop singer Ellie Goulding. See here for press coverage.